Amy Jean Brow Agency is known for their incredibly realistic approach to cosmetic tattooing and only want the best results for you. Clients have the option to have a separate consultation before the procedure or the option of sending through pictures of the area to establish if the procedure can be done. We request that these pictures are filter free, with no makeup on the area and uncropped to allow us to zoom in if necessary. Some clients may not be a suitable candidate for cosmetic tattooing. Before booking in for an appointment with us please ensure that you have read through the list. A week before the cosmetic tattoo we also advise to stop using any products with Retin A, AHA or actives. If you are on Roaccutane or any other medication that may affect the skin please contact us to discuss. If you have been previously tattooed or have any additional questions please feel free to contact us before booking in and we can answer any queries. ~ Skin that has recently had any sort of laser / cosmetic treatments. For all cosmetic tattoo treatments, any cancellations made within 48 hours of the scheduled appointment, will incur a 50% cancellation fee. Please note this is 50% of the full treatment price. If you cancel your cosmetic tattoo appointment within 72 hours we will hold your non refundable deposit. For any cosmetic tattoo cancellations outside this period, we will refund your deposit and hold a $50 admin and processing fee. If you are cancelling any other treatment, you will lose your non refundable $50 deposit. CAN I WEAR MAKEUP TO MY APPOINTMENT? Yes, you can wear makeup to the appointment – we will wipe the area with an antiseptic wipe before placing on the anesthetic. DO I NEED TO PURCHASE MY OWN ANESTHETIC? Your own anesthetic must have your name clearly labelled on it from a compounding chemist for us to apply for you. Your appointment includes half an hour of anesthetic processing time prior to designing your tattoo. Throughout the procedure, our artists can top up the application so you can remain numb for the duration of your procedure. After the Feather touch tattoo there will be no redness or swelling to the area, however the lips and eyeliner will have a subtle swelling (in some cases this is only very minor). We don’t recommend having a cosmetic tattoo procedure prior to an event / special occasion where the area might make you feel a little self conscious. As the area heals, the pigment will deepen in colour before fading away and this can last anywhere from 3 – 10 days. CAN I BE PREGNANT OR BREASTFEEDING FOR COSMETIC TATTOOING? Cosmetic tattooing procedures are not recommended during pregnancy and breastfeeding. HOW DOES THIS AFFECT MY BOTOX TREATMENTS? 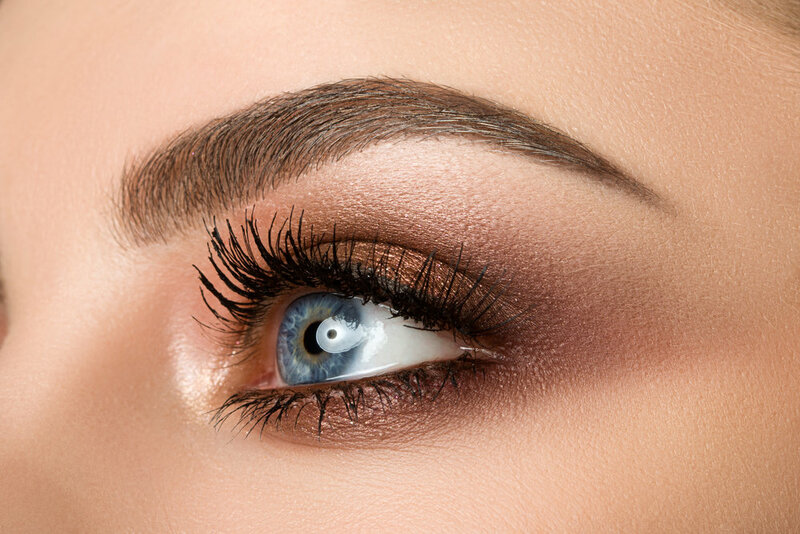 We recommend you book your botox appointment at least 7-10 days before your initial brow tattooing appointment. This aids with symmetry and skins firmness. If you are looking for a much higher arch or “lift” with your brow tattoo design, please understand that this is only achieved through a combination of botox and cosmetic tattooing. If we tattoo the brow line too high, it will not blend through your natural hairs and look artificial. Botox will achieve more height by “lifting” the muscles. We recommend cosmetic injectable specialist CAROLINE YOUNG at “Metica”, which is located in the same building in Sydney CBD as Amy Jean Brow Agency and Amy Jean Privée studios. WHAT IS THE POST CARE FOR FTT? Amy Jean Eye Couture artists recommend a ‘Dry Heal’. This means the area treated cannot be exposed to any water, oils, rich moisturisers or heavy makeup in the T-zone for 7 days. Some clients book a professional blow dry to avoid watering the brows in the shower. If the skin type is excessively dry you can use a minimal amount of bepanthen across the brow on the 2nd & 3rd night. WILL I NEED TO PAY A DEPOSIT WHEN BOOKING AN APPOINTMENT? All new tattoo appointments will require a $200 deposit that will come off the total price on the day. For all other appointments we will require a non refundable $50 deposit. CAN I BRING FRIENDS OR CHILDREN TO MY APPOINTMENT? We are flexible if you bring a sitter or help to watch over your child, however they must remain in the waiting room. Only the tattooist and client can be in the room during the procedure due to Occupational Health & Safety.